Dear Pepo, You were our amazing guide and driver in June of 2009. You were one of the reasons our trip was so great. We will definitely return to Croatia as we enjoyed it so very much and we will definitely contact you to be our guide once more. On page 220 under the heading "Tours," Rick Steves recommend hiring friendly Pepo Klaic' as a driver guide. 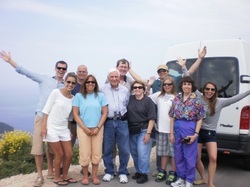 My husband and I recently (10/22/07) hired Pepo to drive us to the Bay of Kotor in Montenegro. Pepo is not only a good driver, but an outstanding tour guide, as well. Pepo politely asked if we would like to take a side trip to hear about his experiences during the war. Of course, we agreed. Driving through small Croatian villages to the top Mt.Srd he shared his passionate story of defending his homeland during the seige of Dubrovnik. It was the highlight of our trip, listening to his story, a story of great suffering and of renewal. That day the three of us could share our common desire for freedom, peace and justice throughout the world. Isn't this what travel is all about? It is an experience that we will never forget...thanks to Pepo!Lana Gilster invites you to consider volunteering for the Friends Program at Mount Olivet Home and Mount Olivet Careview Home. Hi Pepo, I hope that this email finds you relaxing during the off season and enjoying your family. 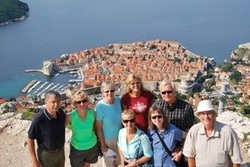 I will always have fond memories of the wonderful trip to Croatia and your kindness and hospitality. I will continue to recommend your services to our friends who travel abroad. It is likely that I will be back one day with my children as well, and I hope that we will be able to locate you for assistance. 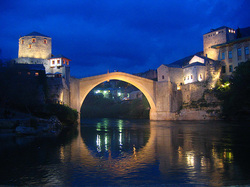 Knowing that we wanted to take a few day trips from Croatia to neighboring countries, Bosnia and Montenegro, we took Rick Steves' suggestion and booked Pepo Klaic . .